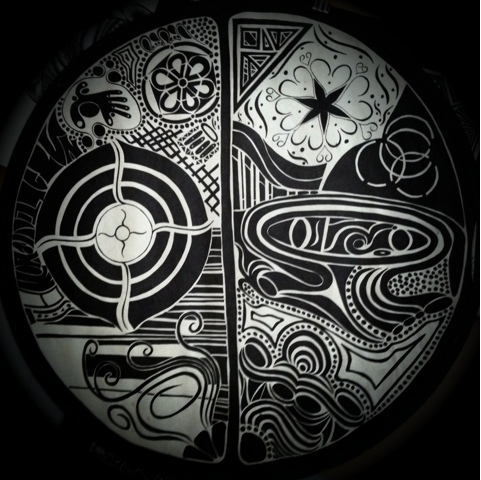 I drew these in 1999 before the creation of Zentangle. I see a lot more creativity in my past work than in my current work. I threw out most of my work from then. I was going to throw these put too but my husband wouldn't let me. These are drawn on regular white paper with pilot pens. This one is 18 inches in length. I used to dislike its simplicity but now like it. This one is 1 meter long. This work is absolutely beautiful!